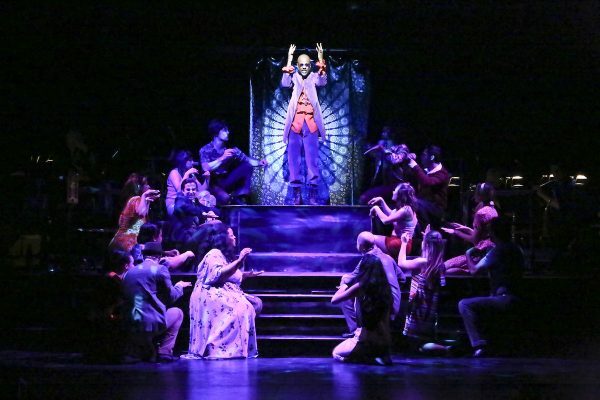 Like a phoenix rising from its ashes, Reprise 2.0 reboots its popular showcase for classic Broadway musicals. After more than a decade of success, the original founder Marcia Seligson left and the series closed several years later after hard financial times. Seligson returned to helm the revamped series, announcing a new season with three shows and attracting Tony-award winning choreographer-director Kathleen Marshall to stage the dance-drenched Sweet Charity as the opener. Marshall is among a rare species–a female dancer who moved to Broadway choreographer and then on to choreographer/director status. 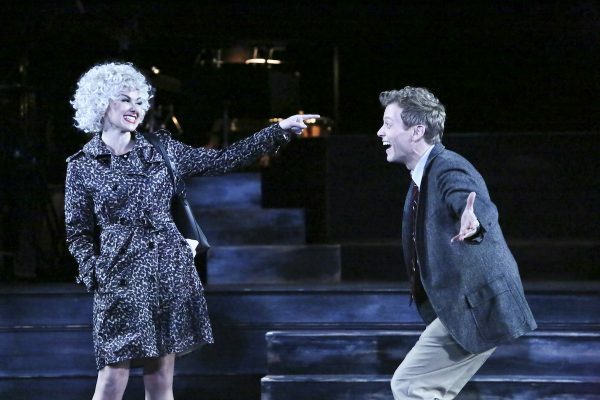 Along the way, she garnered a slew of awards, including three of Broadway’s Tony awards. In a telephone interview just before rehearsals began, Marshall talked about some of the prep work that preceded the intense three week rehearsal process, including costumes, design, and casting, particularly the choice of Laura Bell Bundy in the title role of Charity Hope Valentine. Originally created on Broadway by Bob Fosse, the role of the taxi dancer with a heart of gold was created for Fosse’s then wife Gwen Verdon and for Shirley MacLaine in the film version. Charity has been played in revivals by talents that include Debbie Allen and Christine Applegate. 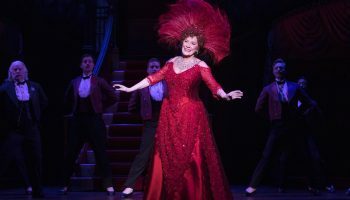 Tony-nominated for her leading role in Legally Blond the Musical, Bell Bundy takes on the challenge with extensive recording, film and TV credits, as well as her long list of musical theater work. Laura Bell Bundy in Reprise 2.0’s Sweet Charity. Photo by Michael Lamont. 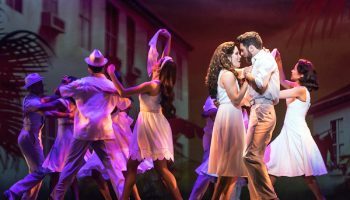 Aside from her experience with big budget Tony-nominated Broadway musicals, Marshall is no stranger to the type of partially staged revivals of classic Broadway shows. For several years, she led New York’s Encore series which was the prototype on which the original Reprise was based. And she knows how to maneuver a full onstage orchestra, professional performers, and minimal sets (don’t expect helicopters to fly in) that let musical itself take the spotlight. Only last year, Marshall choreographed and directed a partially staged Mama Mia! at the Hollywood Bowl. Laura Bell Bundy and Barrett Foa. Photo by Michael Lamont. Three of the dancers who worked with Marshall on Mama Mia! return in the ensemble for Sweet Charity. Two of the dancers took time during the final rehearsal day to talk about Sweet Charity, the world of dancing in musical theater, and working with Marshall again. Both Ashley Matthews and Angeline Mirenda started with ballet, credit that classical dance training with giving them a foundation and still regularly take ballet class. Both found the confines of ballet restrictive and migrated into jazz dance and singing, finding their passion in musical theatre. “As the choreographer and also as the director, the choreography is cohesive with her overall vision,” Mirenda remarked. Both dancers agreed that such cohesion was possible with a choreographer and director who are in sync, but both had experience with situations where there was a disconnect between the choreographer’s movement and the director’s concept. A similar focus on serving the material and a commitment to returning to the elements that defined the original Reprise was emphasized by Seligson in describing the two year process for launching Reprise 2.0. Marshall also confirmed that the Reprise 2.0 version of Sweet Charity would not be a recreation of or homage to Fosse’s version or his distinctive choreography. Terron Brooks and the ensemble in Sweet Charity. Photo by Michael Lamont. At the end of the rehearsal process and just before the first run-through, both dancers agreed that Marshall brought her own moves to this dance-centric musical and both agreed that for those who know Fosse’s choreography for the show, there are some sly references without actually replicating Fosse’s distinctive style. “Some of the moves may simply live inside that music,” Matthews suggested. Looking ahead, the other two offerings in this return season include another dance-filled musical Victor/Victoria in September with Grand Hotel–the Musical in October. 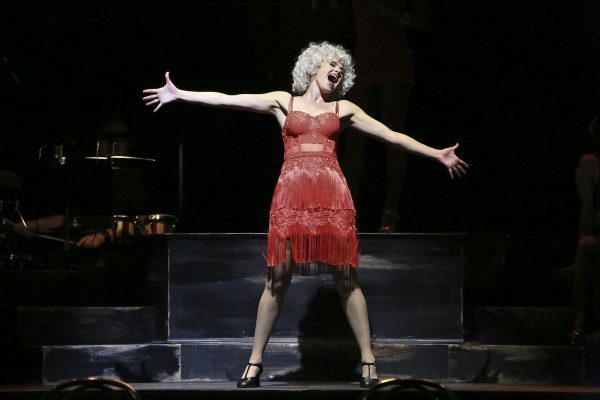 In trying to present live musical theater in a city dominated by film, tv, and popular music Reprise 2.0 is a lot like Sweet Charity‘s lead character facing tough times in a tough town in a tough profession, but fighting its way toward the sunshine. 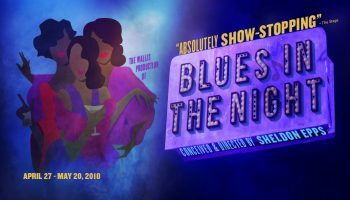 UCLA’s Freud Playhouse, Macgowan Hall, 245 Charles E. Young Drive East, Westwood; Wed., June 20, then Tues.-Fri., 8 p.m., Sat., 2 & 8 p.m., Sun., 2 & 7 p.m., thru Sun., July 1, $75-$110, $30 students. www.reprise2.org.